ACEON Ignition Coil - OE Coil Packs - FREE SHIPPING - Lowest Price Guaranteed! 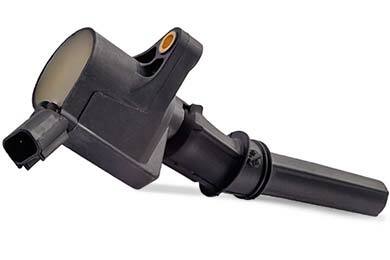 Get off the blocks with a vengeance by restoring proper spark in your ride with an Aceon Ignition Coil. Capable of producing the voltage necessary to ignite your air/fuel mixture, these top-of-the-line coils are made with high-quality copper for weight savings and easy installation. Displaying a unique winding design that reduces size and weight, each coil helps eliminate misfires, hard starts, long crank time and catalytic converter failure. Your Aceon Coil is protected by a 1-year warranty. Definitely functions as it should. I bought these for my 2008 Ford Taurus. It has never had a tune-up since 2008 and when I put these in, my Taurus turned into a brand new car. I love these ACEON coil packs do to their look, to the feel of their quality and to their performance. They are a great deal! They shipped out the product quickly as promised. Plus the parts were easy to install. Very fast shipping and as always worked perfectly. My truck runs like new again. I have purchased several items from AutoAnything and have never been disappointed. Reference # 766-795-859 © 2000-2019 AutoAnything, Inc.